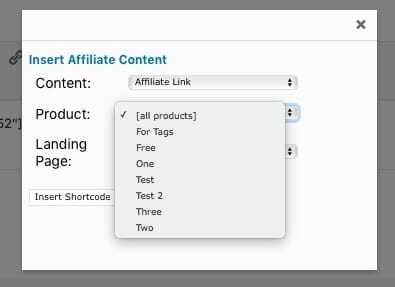 Affiliate links are created using the shortcode which is accessed from the green FastMember icon in the WordPress classic editor. 2. Select either all products or a specific product. Choosing a specific product will not restrict your affiliate to only promoting this product as once they are a member of the site they will be able to promote any product and receive commissions for their efforts. Instead setting a specific product allows you and your affiliates to track how many hits this particular product is receiving. 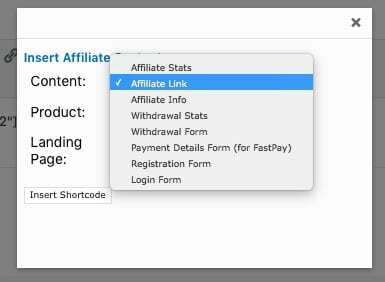 Knowing this will also let you see the conversion rate and EPC figures for each of your affiliates on those particular products. 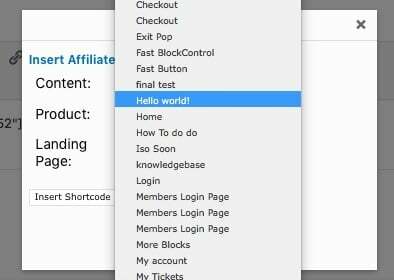 When your affiliate is logged in and visits the page with the shortcode added a link with will be visible which has their Affiliate ID automatically added which will look similar to this on your site. afastmema=321 is the affiliate ID parameter with 321 being the WordPress user ID of the affiliate. This ID will be automatically generated for the logged in user. pid=3 is the product ID parameter and is set within the Shortcode. WordPress 5 – Whats The Deal?